My granddaughter was dedicated at church last Sunday. As a five-month-old, she had no understanding of why she was there or what was happening. Her wails pierced the room, as tears streamed down her sweet little cheeks. She wanted to be somewhere else, preferably a place that involved a bottle, a blanket, and then a nap. Yet, this was an important day for her and her parents. 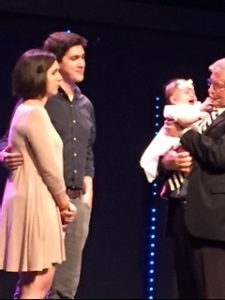 While she was the center of attention as she was dedicated to the Lord, her parents, my son and daughter-in-law, were also dedicating themselves, pledging to nurture this little one in love and faith, and committing themselves to seek Christ-like wisdom in their parenting and her upbringing. Often we think of a dedication in conjunction with a structure—a new building dedicated for a specific purpose or in memory of or honoring a person, or a home, set apart as a place of safety and love. Many of us have something, maybe several things, or someone, to which we are dedicated. One dictionary defines “dedicated” as being wholly committed to an ideal, political cause, or personal goal. But sometimes we can become too focused on the source of our devotion, causing us to lose perspective. 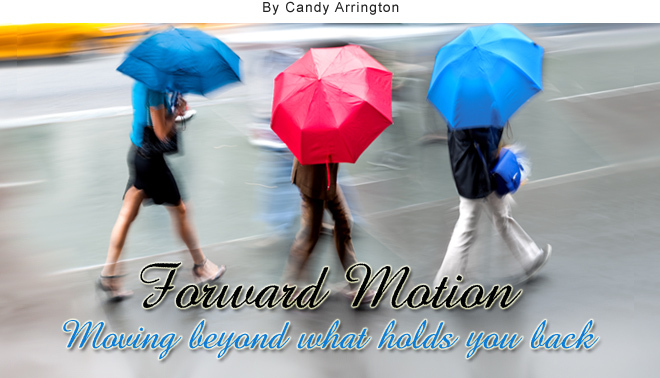 So how do you determine if your devotion to someone or something is all-consuming and has you at a standstill or moving laterally instead of forward? Time consumption – A person, whether in your personal or professional life, who monopolizes your time without regard to the effect on you is controlling and selfish. If you are committed to pleasing that person, your devotion is misplaced. Likewise, anything—job, hobby, sport—that captures your attention to the exclusion of everything else robs you of balance. Tunnel vision – Many, who are totally dedicated to something, have limited vision. They are blind to the what they are missing in other areas of their lives. Tuning out others – It’s easy to become so focused on something that you block out relationships. It may be your desire to interact with those around you, but the object of your devotion is stronger than your intention and relationships suffer. But dedication is also positive. If you never commit, you remain in limbo. Later, you may look back with regret. Perhaps you skipped a job or education opportunity, failed to accomplished a goal, or missed out on the benefits of a relationship because you couldn’t bring yourself to dedicate your time and energy or brave the difficulties you imagined might arise. Like most things in life, dedication requires commitment, determination, and balance. I’m thankful my parents and their parents were dedicated to training their children in the tenets of faith and integrity. As I look at my granddaughter, and anticipate the birth of a second grandchild, I’m blessed to see that dedication continue to the next generation. Like most things in life, dedication requires commitment, determination, and balance.